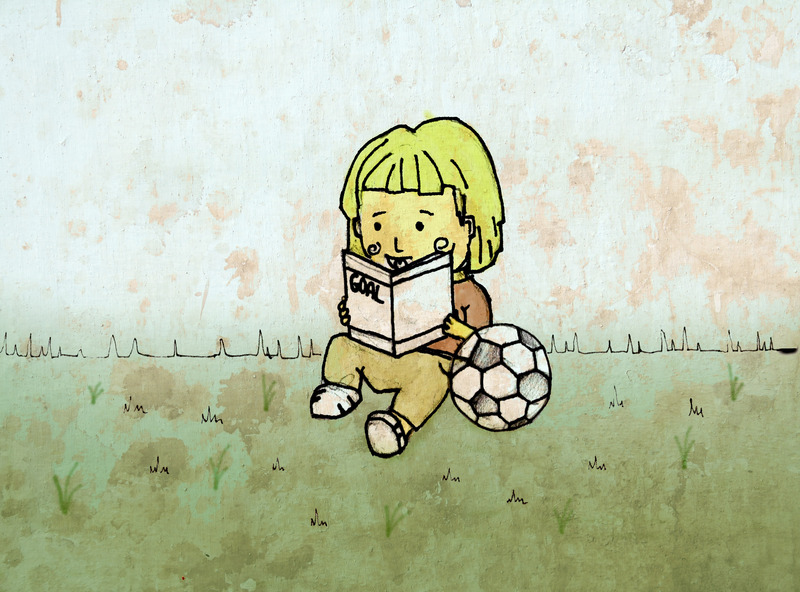 My name is Elisa, and I absolutely LOVE playing football! It’s so much fun! It is a wonderful feeling when I pass the ball to my friends and help them to score a goal, and I also love it when I’m the one to kick the ball into the net. Some of my friends tell me that football is a sport only for boys…but that can’t be right! I think I am even better at football than some of the boys in my class. So I’m going to keep on playing, I’m not going to listen to what the other girls say. I’ve never been interested in dolls and other girly things, but that doesn’t matter. I love playing football, and that is never going to change. So watch out boys, because I won’t go easy on you!